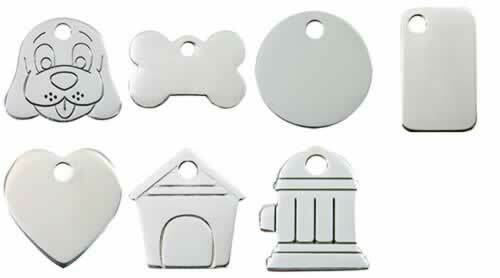 Large dogs need large tags. 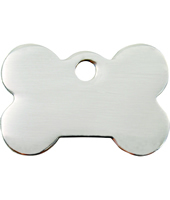 These Red Dingo Large Stainless Steel Dog Tags are made from flat stainless steel and allow for 5 lines of text with 19 characters per line. 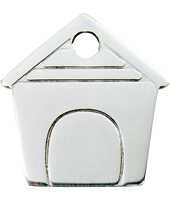 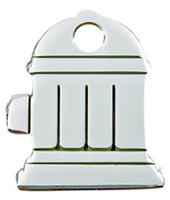 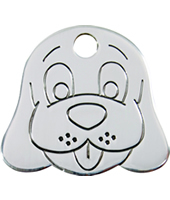 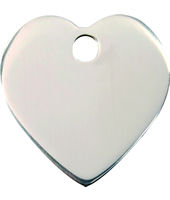 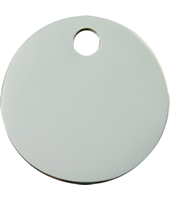 With a choice of 7 designs, ranging from a simple circle to a dogs face, these large flat stainless steel dog ID tags are approximately 4 cm's in size (see below for exact sizes) and include split ring, free engraving and delivery (please allow 10 days for delivery).